What do you get when three talented businesswomen meet? 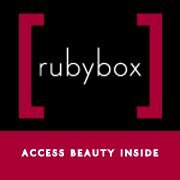 The most exciting collaboration of the year – rubybox and GlamBox are sharing the love and teaming up to bring you a bigger and better beauty offering! In honour of Women’s month, we’ll be joining forces under the rubybox name. What does this mean for you? A wider selection of beauty editor-endorsed products, more of your favourite beauty brands and awesome monthly specials and savings! u all know and love, will still be very noticeable in your beauty boxes. – If you are subscribed to both Glambox and rubybox you will either be refunded by choosing to buy great products from the rubybox boutique or your money will be refunded. Unfortunately we can not refund your Glampoints. -Your Glampoint will be transfered to rubypoint, but this takes some time and will be done so in the next week. -By joining forces, Glambox and rubybox will strive to bring you an even better and a wider selection of beauty goodies, both trial and full size. 5 star getaway with 3 BFFs to La Residence in Franschhoek worth R50 000! Plus, while you’re sharing the love, and filling up the heart, we’ll be doing the same with surprise giveaways (open to Facebook fans only). Wow wait a great prize! So ladies if you havent gone over and liked the rubybox page what are you waiting for? Please. I would like to re register for the next three month payments. Thanks. Do you think the contents of the joint boxes will be as per Glambox’s usual generous type or rubybox’s?